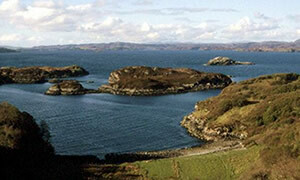 We offer two lovely self-catering cottages, just south of Scourie in the North West Highlands of Scotland. Eddrachillis Holiday Cottages are ideally located for exploring the glorious landscape of NW Sutherland with its stunning mountains and beaches. The Byre is a delightful newly refurbished stable with a light, open living area and a double bedroom that can sleep 2*. A beautiful location to escape from it all and explore the Highlands and an unspolit and beautiful part of Scotland. Eddrachillis is set by the beautiful Badcall Bay. A quiet location in unspoilt natural surroundings where you can escape from it all and relax. 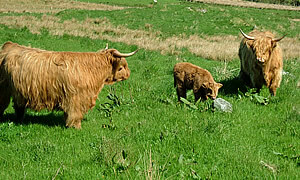 The Cottage and Byre offer tranquillity and peace with comfort and all you need. Scourie is a village on the north west coast of Scotland, halfway between Ullapool and Durness. 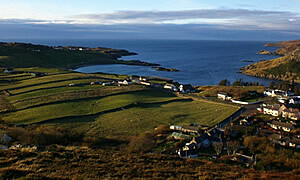 Close to Handa Island and a great location for exploring the surrounding bays, beaches, glens, mountains and beauty. Some of the last unspoilt wilderness and wildlife in the world, the Highlands are a wonderful escape. Whether you want to relax in peace or actively explore, the region has it all and Eddrachillis Holiday Cottages await.